When the list of competitors for this All-Star season of Top Chef was announced, we were excited to see Washington represented by three of the most memorable characters from their respective seasons. As the season has gone on, we’ve been cheering ever more enthusiastically as two of our three local cheftestants demonstrated that they have what it takes to go the distance (or at least as far as the Bahamas). Our chefs now represent 40% of the Final Five, and the smart money is on at least one of them making it into the Top Three. We got a chance to chat with both of our local chefs after last week’s episode, and what we heard from Mike Isabella and Carla Hall made us even more excited for what is yet to come – both on the show and in their local endeavors. Check out our interview with Mike today, and then join us tomorrow for our chat with Carla before watching the first of the finale episodes tomorrow night. Capital Spice: Congratulations on making it all the way to the finals, Chef. You’ve been a solid competitor throughout the season. Mike Isabella: Thanks. It was definitely tough competition to get there. CS: Let’s talk about your new restaurant, Graffiato, first. How’s everything going? MI: It’s going good. We’re still under construction, putting in the duct work, the heaters, the framing. Next week we’ll be laying the pipes for the water and gas. I’d say we’re looking at a later spring opening at this point. CS: Being in the middle of all of this construction, it must have been hard to travel and stay focused for the finale episodes as a result. MI: Actually, I was really focused. I have a great team working with me on Graffiato, including a lot of chefs and staff who are coming over with me. That freed me up and allowed me to focus [on Top Chef] again. 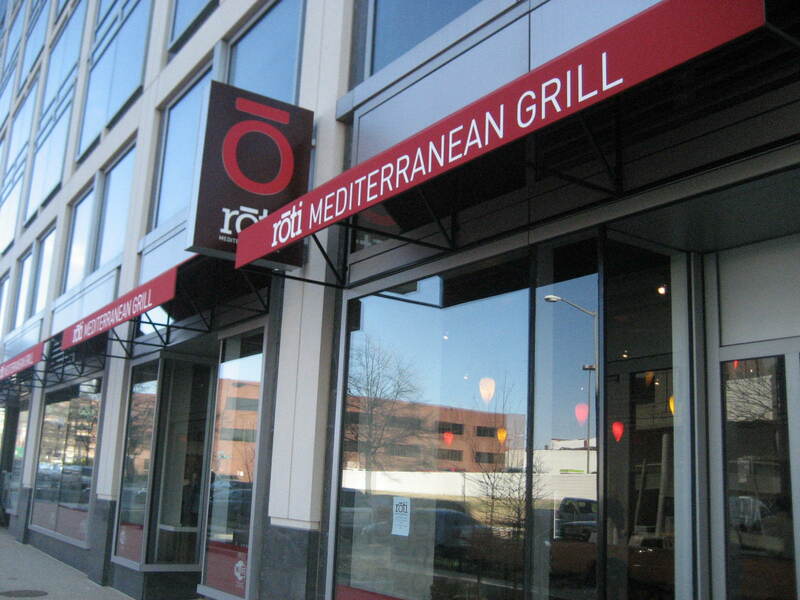 By the time you read this post, Roti Mediterranean Grill will be open for breakfast. 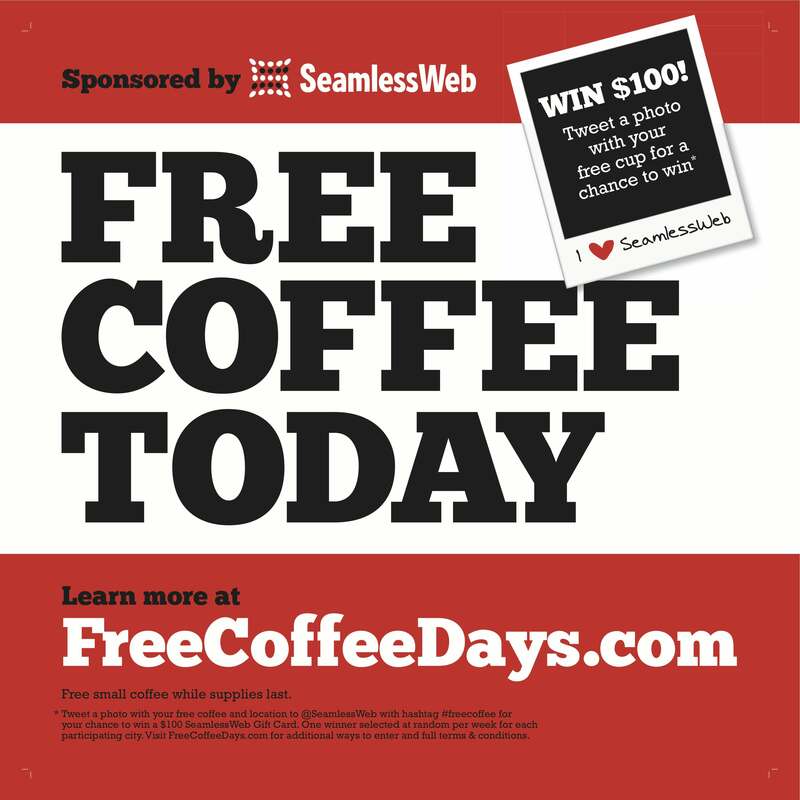 If you hurry, you might still beat the rush to be one of the first to try a sandwich wrapped in laffa or tucked into a house-baked pita pocket. Even if you’re not enough of an early bird to check out their breakfast offerings, you may want to check out Roti in NoMa sooner rather than later. Why? Roti is offering up spit-roasted meats and freshly made toppings that will make up for all those mediocre gyros and kebabs you’ve settled for in the past. They’re even baking their own pita bread on site. And they’re delivering all these big sit-down style flavors at carryout prices. There was a time when the area north of Union Station on First Street, NE, was an expanse of vacant lots and dilapidated buildings. These days, with multiple federal offices and other large employers moving into the area, there are new dining options opening every week. Even so, Roti Mediterranean Grill is poised to stand out among its neighbors. So what’s Roti all about? 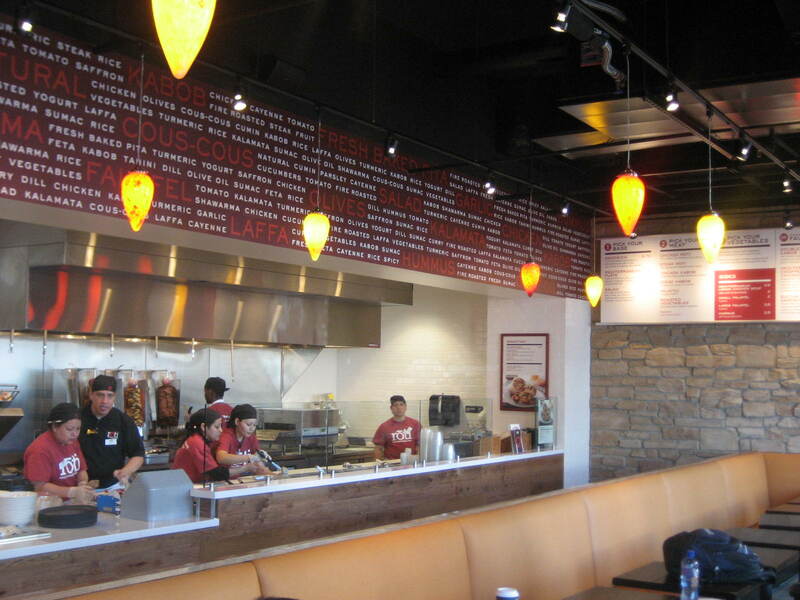 Imagine Chipotle with the flavors of the eastern Mediterranean. Got it? Now check out that picture to the right. Pretty close, right? On the surface, Roti’s quick-service, choose-your-own-adventure style is similar to that of the ubiquitous burrito place. But their flavors are miles apart. Meat Week Update: Pork Barrel and PORC Events Filling Quickly – Have You Signed Up Yet? 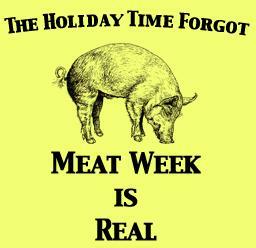 In just its second year, the Washington chapter of Meat Week is all over the Internets this week. Captain Jenelle Dennis (aka BabeBQ) has done a great job of spreading the gospel of ‘cue, and it looks like turnout for this year’s Meat Week will far surpass last year’s. But enough about us – this update is really about you, or at least it is if you’re thinking about joining us for any of the Meat Week festivities. We figured you might want to know when to show up each night, not just where. And as the title of this post suggests, we wanted to encourage you to email Jenelle sooner rather than later if you’re interested in attending either (or both) of the Meat Week Sneak Peek events. 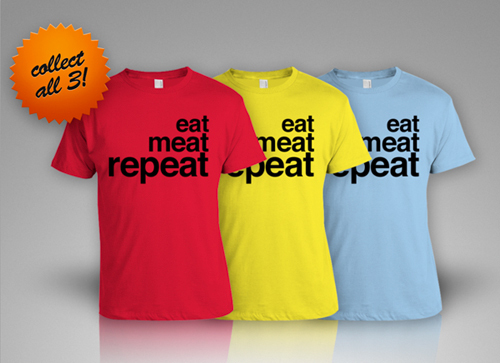 Eat Meat. Repeat. Meat Week returns for Round Two this Sunday, January 30, 2011! Just when you thought it was safe to hit the salad bar, Meat Week comes roaring back into Washington ready for round two. Last year, Snowmageddon forced the cancellation of the final two Meat Week events in our area, leaving hungry carnivores unable to enjoy scheduled outings to Branded ’72 in Rockville and Mr. P’s Ribs and Fish on Rhode Island Avenue. Some folks might have taken that as a sign, a warning from on high to repent and change their ways. This Sunday, DC Meat Week will once again provide carnivores with seven nights of barbecued deliciousness at some of the area’s best ‘cue joints. And for the second year in a row, Meat Week will be one of your first opportunities to check out a highly-anticipated newcomer to the DC BBQ scene. Some of the venues have stayed the same (we HAD to kick things off at Urban Bar-B-Que again, and you know we wanted take a second run at Mr. P’s), and a couple of recent additions have been added to the list as well. 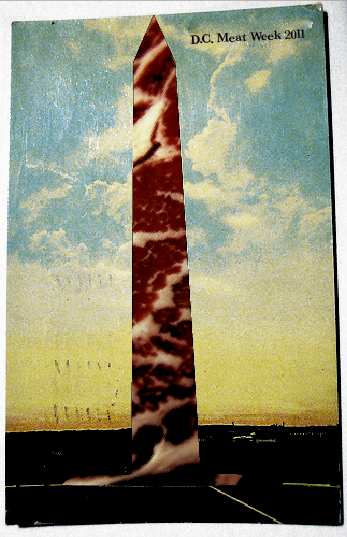 Perhaps the biggest change in DC’s Meat Week chapter is who’s running the show. I’ve passed the Captain’s hat to Jenelle Dennis, aka BabeBQ, though I’ll be staying on as First Mate along with David Gootzit. Jenelle brings an impressive barbecue pedigree to the role – she’s a KCBS Certified Barbecue Judge and one of the architects of the Snackadium. Seriously impressive.